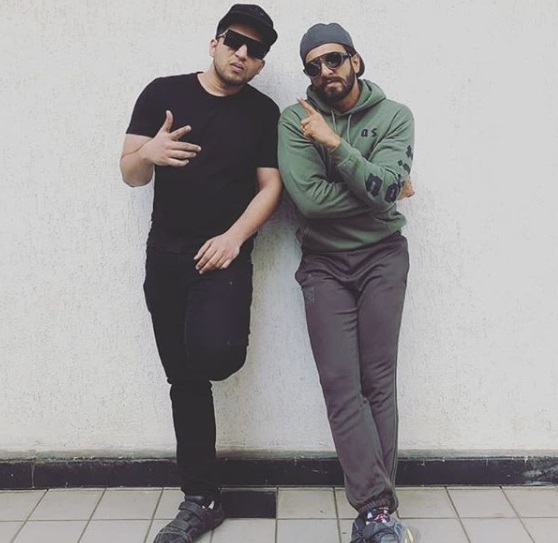 Gully Boy Ranveer Singh Is Ready To Raise The Roof With His New *Rapper* Look! Everyone, take a deep breath because what you are about to witness may change the course of your day. 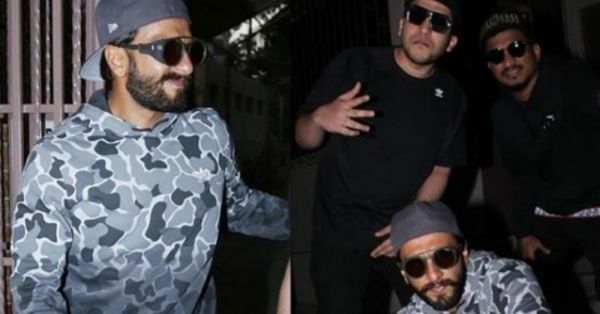 It's not every day that our favourite boy Ranveer Singh steps out giving us a rapper-worthy look (or does he?) and what we witnessed in his latest outfit left us asking that one question that has been on our minds forever now: Is there ANYTHING this guy can't do? Anything? There might possibly be a few wonders that this Gully boy hasn't mastered yet (highly doubtful, TBH) but dressing up like a rapper isn't one of them. To put the case to rest, we give you the man himself! 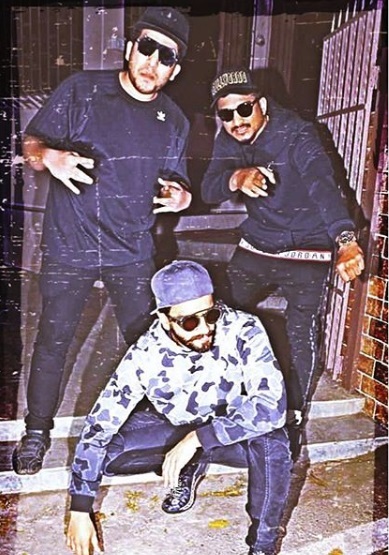 Fresh off the heels of his last success Simmba, the actor happened to be dubbing for his upcoming flick, and accompanying him were the OG Gully Boy(s) DIVINE & Naved Shaikh. The trio paused to strike a pose together for the gram, and all we can think of is how this is one cool gang we would want to be a part of. So where do we sign up guys? The expert that he is in everything that he does, Ranveer Singh has dressed up in true blue rapper-style before. 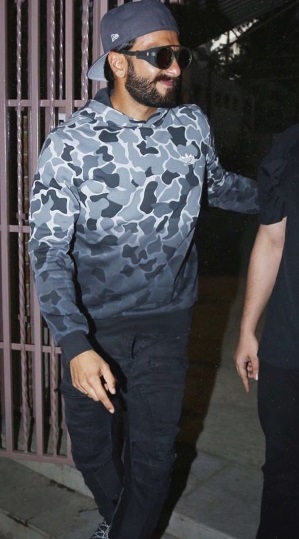 Case in point: his last appearance with Naved Shaikh where he wore a similar outfit. 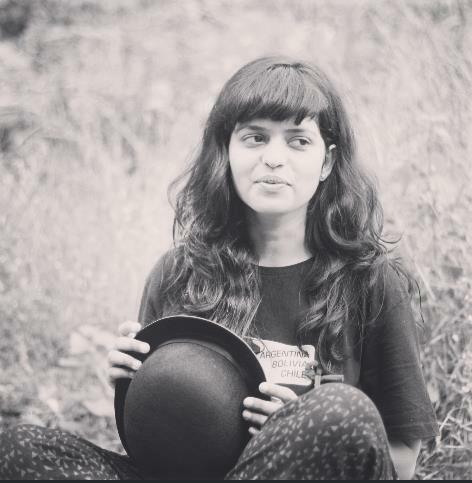 Oh, and it's not just us who are excited for the Ranveer Singh and Alia Bhatt starrer. 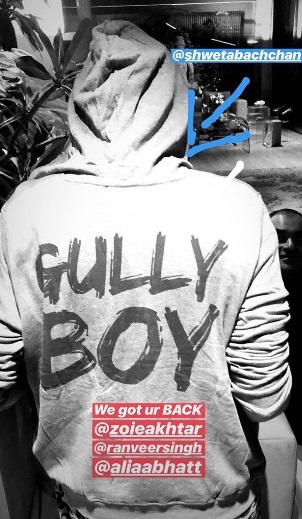 Baba's buddy Arjun Kapoor shared a picture of Sweta Bachchan wearing a hoodie, with the upcoming film's title emblazoned on the back. Now that's the kind of friendship that makes us go all teary-eyed. We can't wait to watch the unstoppable Ranveer Singh on the big screen, and what do you know, we might go dressed up in that cool hoodie too!